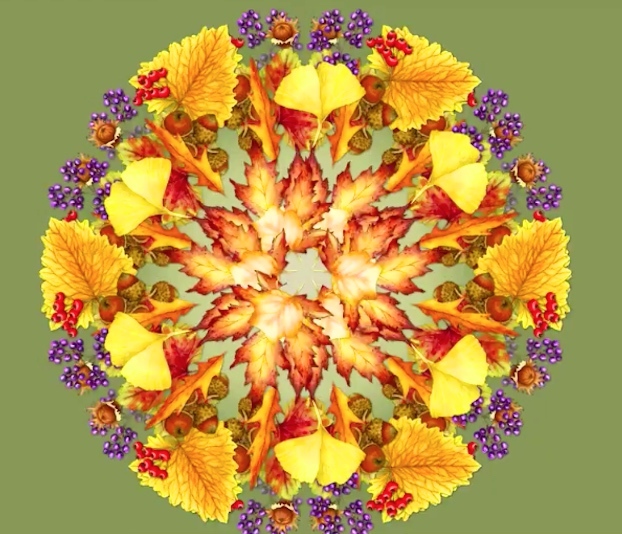 Now about the kaleidoscopic image in #1. 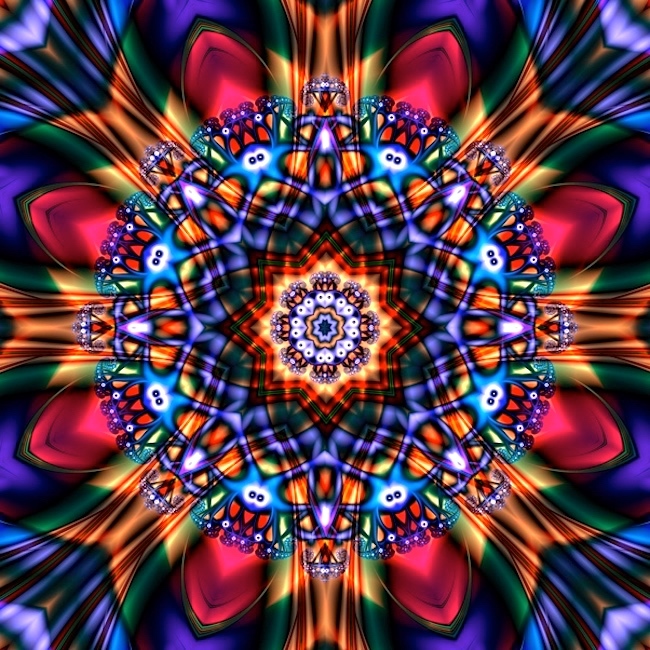 This is a computer simulation of a kind of kaleidoscope called the teleidoscope, which uses images from outside (the Greek stem tele- ‘far’) the device itself, rather than relying on glass chips within the device. And in that there’s a gay connection. 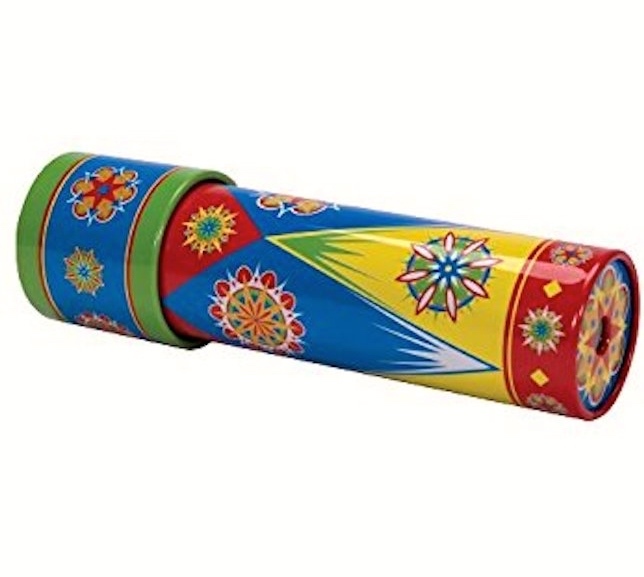 A kaleidoscope is an optical instrument with two or more reflecting surfaces inclined to each other in an angle, so that one or more (parts of) objects on one end of the mirrors are seen as a regular symmetrical pattern when viewed from the other end, due to repeated reflection. The reflectors (or mirrors) are usually enclosed in a tube, often containing on one end a cell with loose, colored pieces of glass or other transparent (and/or opaque) materials to be reflected into the viewed pattern. Rotation of the cell causes motion of the materials, resulting in an ever-changing viewed pattern. A teleidoscope is a kind of kaleidoscope, with a lens and an open view, so it can be used to form kaleidoscopic patterns from objects outside the instrument, rather than from items installed as part of it. Invented by John Lyon Burnside III and Harry Hay, [their] patent was filed in 1970 and granted in 1972. Burnside, 91, had been recently diagnosed with glioblastoma brain cancer, his longtime friend Joey Cain told L.A. Times reporter Dennis McLellan. Burnside’s teleidoscope varied from the kaleidoscope in that it uses a lens rather than colored glass chips to create a colorful design. Harry Hay, founder of the Mattachine Society, met Burnside at a gay community center in Los Angeles in 1963. Hay and Burnside became a highly visible activist couple and appeared together on Joe Pyne’s confrontational TV talk show, McLellan notes. In 1966, Burnside and Hay participated in a 15-car motorcade through downtown L.A. to protest exclusion of gays from the military. Burnside and Hay were together 39 years, until Hay’s death in 2002 at age 90. A bit more on Harry Hay in section 4.3 of my 7/30/17 posting “The queer quilt”. I still have my teleidoscope from many years ago. This entry was posted on September 28, 2017 at 6:18 pm and is filed under Gender and sexuality, My life, Technology, Toys. You can follow any responses to this entry through the RSS 2.0 feed. You can leave a response, or trackback from your own site.